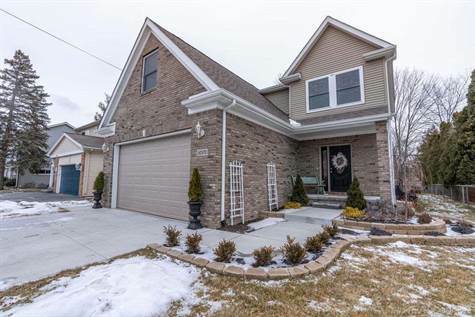 Garage: "Garage - Attached, Heated, Off Street, On Street, Open"
Like-new canal front home approximately 14 homes from Lake St. Clair with unobstructed access to the open water. New steel seawall and pilings as of 2017. Some of the upgraded features throughout the home are over-sized windows, energy efficient lighting, 9ft garage door, cathedral ceiling in master bedroom with his and hers walk-in closets, gas fireplace with heat blower, heated and cemented crawl space, hardwood floors, custom entry door, canal-fed sprinkler system, and many more. Admire the professionally designed landscaping in the front and enjoy the new exposed aggregate patio out back to entertain family and friends. Downtown park and beach areas are roughly a 10 minute bike ride away. Anchor Bay schools. Fences are allowed. No flood insurance currently required.